Liguria, otherwise known as the ‘Italian Riviera’, in north west Italy, is known for its high quality olive production. Every November, during the annual olive harvest, a three day festival called Olioliva takes place in the olive growing region of Imperia, which celebrates the region’s ‘green gold’. This year the festival takes place from 13th-15th November; an ideal time to visit Liguria with pleasant temperatures and fewer crowds. The Olioliva Festival takes place in the coastal town of Oneglia, the centre of Liguria’s olive production. 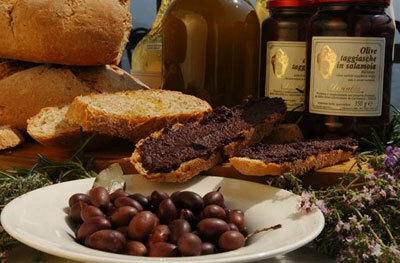 Throughout the three days there are cooking demonstrations and stands from regional producers with oils, tapenades, olive beauty products, medicines and even items delicately crafted from the branches of the olive tree. The festival is an ideal opportunity to sample Liguria’s olives which, over the centuries, have come to be a key ingredient in local dishes. Ligurian olives are namely the taggiasca olive, which have a firm bite and sweet fruity flavour. Flights from Stansted to Genoa with Ryanair (ryanair.com) start from £43 return. Flights from Gatwick to Genoa with British Airways (britishairways.com) start from £93 return.